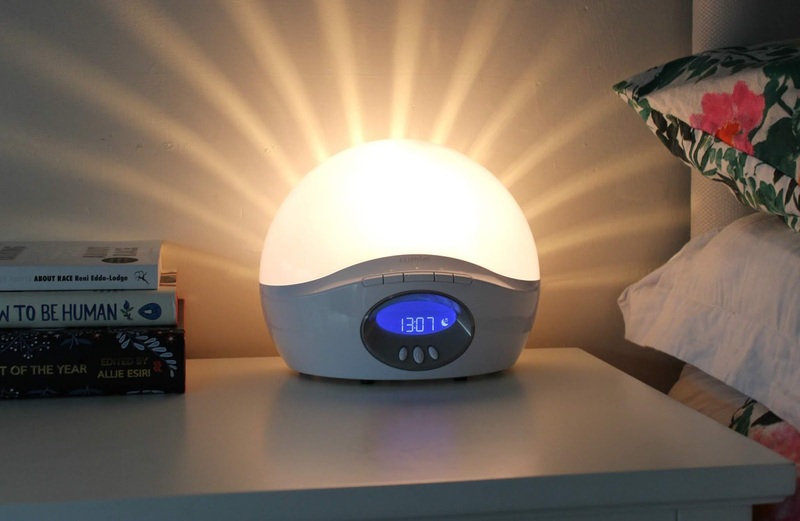 Lumie is a brand that is well loved by my family and a brand which has featured on my bedside table for many years now, with the SAD light being an absolute essential for me in the darker months, a tremendous aid in battling my SAD; seasonal affective disorder. It's not just autumn and winter where Lumie helps me though, it's all year round with numerous features that help me wake feeling energised and more alert, as well as night time features which help me drift off to sleep peacefully and easily. 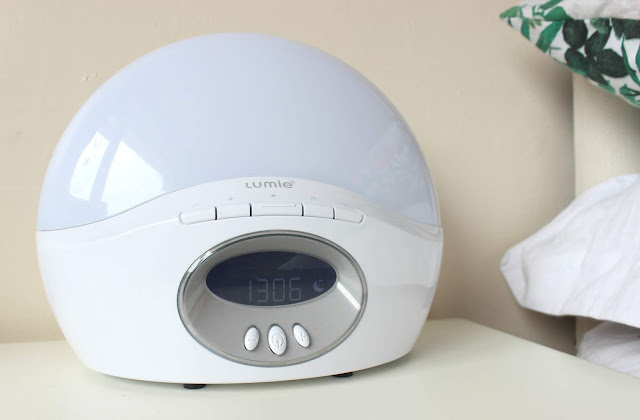 I first featured Lumie way back in 2013 with a review of the Lumie Bodyclock Go75 Original Wake-Up Light, which saw me through many years of dark days and early starts. Ever since that first use all those years ago, I have recommended Lumie to friends and family, so impressed with how effective Lumie lights are - the Lumie Bodyclock Active 250* has only made my love for Lumie grow. So what are the features? 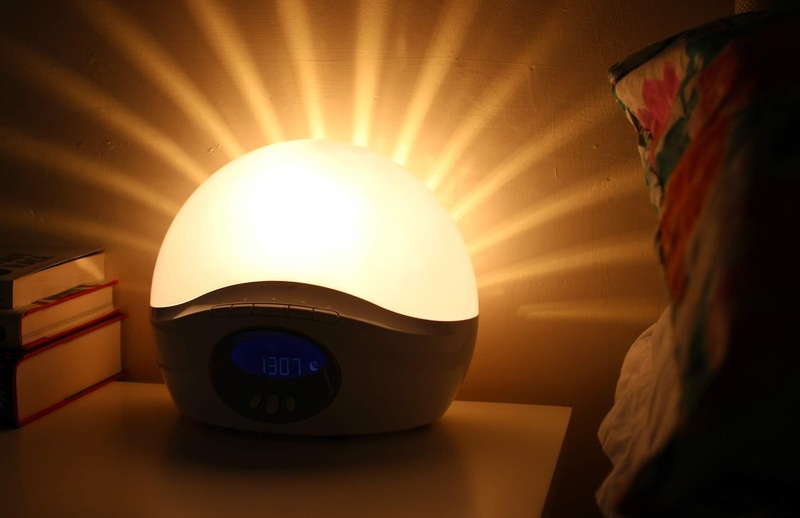 As well as the SAD light, which can be used as a full light or a gradual sunrise or fading sunset like, it can be set to certain times; 15, 20, 30, 45, 60 and 90 minutes, to help you wake naturally or wind down for sleep with ease. The nightlight option uses a fading light before turning itself off after your set amount of time, which I think is great for winding down for the night as you read a few chapters of your book before bed - it gives just enough light to read even on it's lower light settings as it fades. The sunrise option helps you wake with a sunray effect that isn't too harsh so that it disturbs you but mimics sunrise to help you wake naturally. There are three alarm sound options; dawn chorus and rooster wake-up sound as well as waves for bedtime, as well as the option to have the FM radio as a wake-up option. There's a white noise feature to help you fall asleep by masking other environmental sounds and the display is also fully dimmable, minimising the light in your room as you sleep. For me, having a Lumie light massively helps me on a day to day basis. The sunset feature helps me relax before bed, encouraging me to put my smartphone down and turn the TV off to read before the light fades completely. The sunrise feature helps me avoid that 'interrupted' feeling you get when you're woken up suddenly, which is quite regular with a toddler! I love the features the Bodyclock Active 250 has compared to my old faithful Bodyclock Go75 and I prefer the modern and minimal design, too. I couldn't be without my Lumie, what about you?